Don't just patch the problem. Fix it! Chico Upper Cervical has been recognized as one of the top Chico Chiropractic practices. 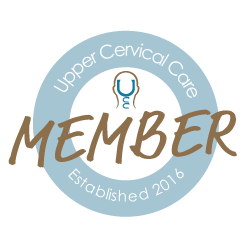 ﻿Upper cervical care is a rapidly growing form of chiropractic that focuses on the intimate relationship between the first two bones in the neck, called the upper cervical spine, and a vital portion of the nervous system, known as the brain stem. This relationship is absolutely essential to the body’s ability to preserve and restore health. The brain stem is the control center that extends from the brain down through an opening in the base of your skull, making it vulnerable to injuries or irritation around the upper neck. The brain stem works very much like a telephone cable with thousands of individual wires or nerve fibers sending signals back and forth between the brain and spinal cord to every cell, organ and system in the body. Every nerve impulse between the brain and the body must pass through the brain stem. The top two vertebrae, the Atlas and Axis, are especially vulnerable to injury or misalignment because they are the most mobile segments of the spine. Misalignment here can produce nerve irritation to the brain stem which, in turn, can affect nearly all vital functions and systems in the body. If neglected, an upper cervical misalignment can lead to irreversible spinal degeneration, chronic ill health, and a shorter life expectancy. ﻿When you were first conceived, you were given a brain and spinal cord first. So important, so basic, were these that both were protected, encased in bone. The bone around the spinal cord was jointed to allow movement and flexibility. However, movement was limited except in the top two vertebrae, the axis and atlas C1- C2. These two vertebrae are the most freely moveable joints in the body. They are carrying the weight of your head which is on an average 13 pounds. Imagine the strain you can put on these small 2oz bones when you are carrying a bowling ball-like weight at all times. How vital to our health is it to keep the bones in alignment that have 300 trillion nerve impulses that must travel freely from the brain through the brain stem out the spinal cord, to every cell, organ and part of your body? Embryology (human development) from birth tells you that these nerves are so vital to normal development and healthful life that such a nerve must precede the formation of each and every organ and part of your body.